What’s in your social media toolbox? If these seven blogs aren’t included, you’re missing out. If you want to get the most out of your social media, you can find all the answers (and then some!) right here. When social media is done right, it can provide tremendous benefits to growing businesses. Social Media Examiner provides the guidance and information that companies can use to transform their social media accounts into customer engaging, growth building devices. The site is very easy to navigate. Click on “Articles” in the top menu and browse the handy dandy drop down menu to find exactly what you are looking for. This social media scheduling platform has one of the best blogs out there. It is literally chock full of great information – lots of good stuff the tuck into your social media toolbox. They cover all the “biggies” like Facebook, Instagram, Twitter, and YouTube, but also delve into Facebook Ads. It is also worth noting that they have some outstanding information on marketing with Pinterest. And that isn’t easy to come by, kids. If you are looking to add some snap, crackle, and pop to your social media, then this blog is a must for your toolkit. Writer Access is home to some of the most creative freelancers on the planet and if you are looking for fresh, clever ideas for your social media, park it here for a spell. You’ll find some real gems on not just social media but blogging and more. And who knows, you might even discover your next brilliant content creator. Increase your social media smartitude with each sharp, knowledge filled post on this site. Sprout Social is one of the most popular social media management tools out there, so they really know their stuff. The topics range from SEO to ROI to how to get more followers. Literally everything social media is covered in at least one post. Their Wednesday #SproutChat sessions on Twitter offer an interactive platform that perfectly complements each information rich blog post. If you are looking for social media news and trends, this is right where you want to be. They have the latest news for all things social media, but sprinkle in some tips and how-to’s along the way. 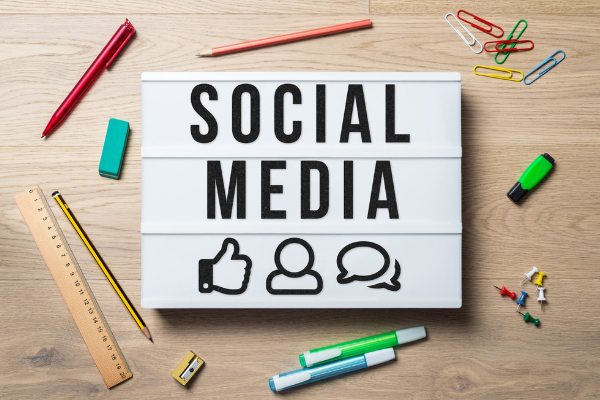 This site is a great source for boosting your own social media presence, but also contains relevant statistics on user behaviors, social media marketing, and more. Take some time and poke around a bit. You’re sure to find plenty of material to hold your attention and spark your creativity. Unless you’ve been under a rock the last few years, you are already familiar marketing, sales, and service software giant Hubspot. What you may not realize is that their blog is a veritable treasure trove of social media wisdom. In fact, take a look at the “Resources” tab in their top menu. There’s all kinds of great information there. Their posts run the gamut from time management to industry updates to crafting a great elevator pitch, oh yeah, there’s also lots and lots of social media tips and trends. Visit Neil Patel’s blog and the first thing you will see is a headline in large letters that says, “I want to learn about…” and there is a drop down that all the different topics he covers (I highly suggest the “everything” selection – it rocks!). This guy knows his stuff and he readily shares little nuggets of his hard-earned knowledge in each blog post, many of which are integrated with his YouTube channel. Grow your business, build your social media following, get more traffic, this is a social media toolbox must have. Do you find yourself struggling to keep up with running your business, managing your social media accounts, and having a life? Maybe it’s time to get a little help. Check out the tremendous talent at Writer Access. Our freelancers come from diverse backgrounds and offer a wide variety of skillsets. You’re sure to find someone for your business who will fit like a glove. Come find your next content strategist or writer and get your life back.